Cosmetic dental treatments can have an everlasting impact not only on your smile but your self-esteem. Through new treatments and the very latest technology, ToothKind offers a variety of cosmetic dental treatments specifically tailored to you, which will completely makeover your smile. We have all the treatments available to make you look and consequently feel your very best. Here at ToothKind we realise that every smile is different and in a way reflects your individual character. With personalised, professional service we will endeavour to give you the smile of your dreams and confidence that soars. Are you tired of the colour of your teeth? Are they yellow? Stained? Dull? Don’t worry, you’re not alone and we are here to help! If your pearly whites have lost their lustre in recent years, don’t despair — there are several ways you can solve the problem. Teeth whitening is a specific treatment for those with stained or discoloured teeth. As the name suggests, it is the process of improving the colour of your teeth. Teeth can become stained or discoloured for multiple reasons. The most common cause is dietary habits; your teeth will be discoloured if over time you drink caffeine, sugary drinks, red wine or tea, or if you smoke or take certain medicines. The effectiveness of treatment varies. 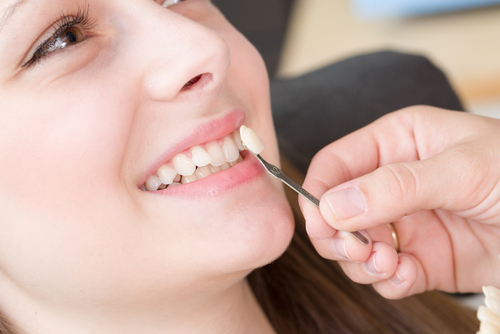 Your dentist will examine your teeth to determine if teeth whitening will be a suitable option for you. There are two main options for teeth whitening: at home, or at the dental practice. Having your teeth whitened at the dental practice involves a one hour treatment in the dental chair and can cause some discomfort. Take home whitening can be done slower which can be a gentler choice for those with sensitive teeth. Your Dentist will advise which one will be the best for you. Make sure to discuss treatment in detail with your dentist so you will have realistic expectations of the outcome. Any large fillings in your front teeth may need to be replaced after the whitening process as fillings do not change colour, but your teeth do which leads to a mismatch in colour. Once your teeth have been whitened, lifestyle changes such as drinking less caffeine, red wine, and tea, and stopping smoking, can help keep your smile clean and white. Veneers cover the front surface of teeth, hiding flaws and can improve the shape and colour of the teeth. 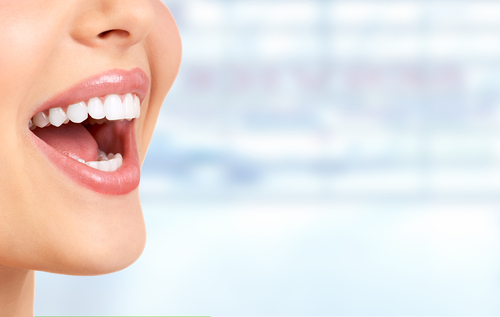 To make an appointment to discuss cosmetic dentistry, contact us today!